Criminal justice reform is one of the most urgent civil rights issues of our day. Nowhere are the barriers to equal opportunity more visible than in our fractured criminal justice system, which perpetuates an ongoing cycle of crime and discrimination that undermines entire communities. This can, and must, change. Through its Justice and Public Safety portfolio, the Foundation uses a mix of grantmaking, communications, and direct activities aimed at advancing sentencing reform; promoting alternatives to incarceration; and reducing recidivism through reentry, including by bolstering employment opportunities for the formerly incarcerated. 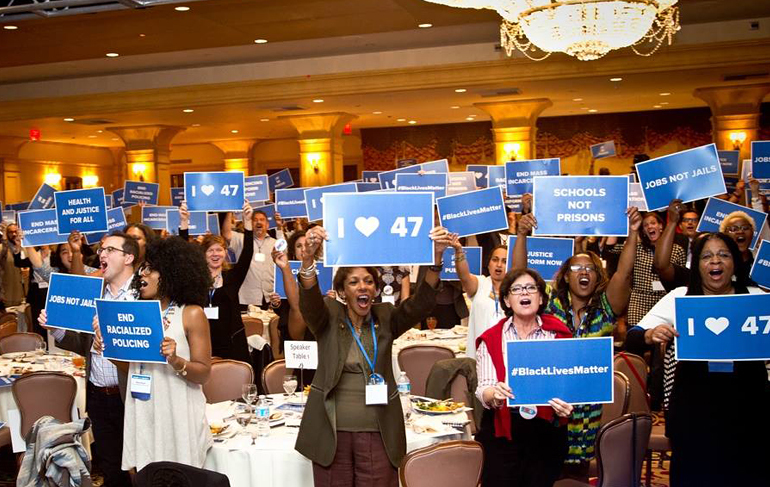 In 2013, the Foundation joined with other funders, including The California Endowment, The California Wellness Foundation, Ford Foundation, and Open Society Foundations, to spearhead a powerful new campaign, Californians for Safety and Justice, which aims to shrink the prison and jail system and invest the savings in treatment and crime prevention. The foundation also partners with a number of other funders as part of a funders’ affinity group focused on criminal justice reform: the Funders for Safety and Justice in California. FSJC includes the Open Society Foundations,Ford Foundation, Public Welfare Foundation, The California Endowment, The California Wellness Foundation, Sierra Health Foundation, Fund for Nonviolence, the Women’s Foundation of California, the van Löben Sels/Rembe Rock Foundation, Akonadi Foundation, and Conrad N. Hilton Foundation.